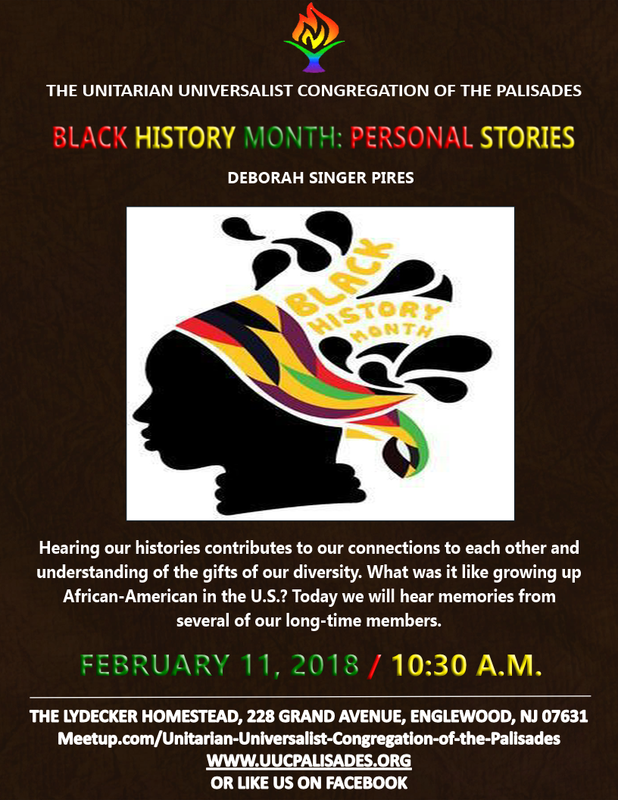 Join UUCP for our service at 10:30 a.m. led by UUCP Co-President, Deborah Singer Pires. Hearing our histories contributes to our connections to each other and understanding of the gifts of our diversity. What was it like growing up African-American in the U.S.? Today we will hear memories from several of our long-time members.